Food Delivery For Your BudgetHungry? 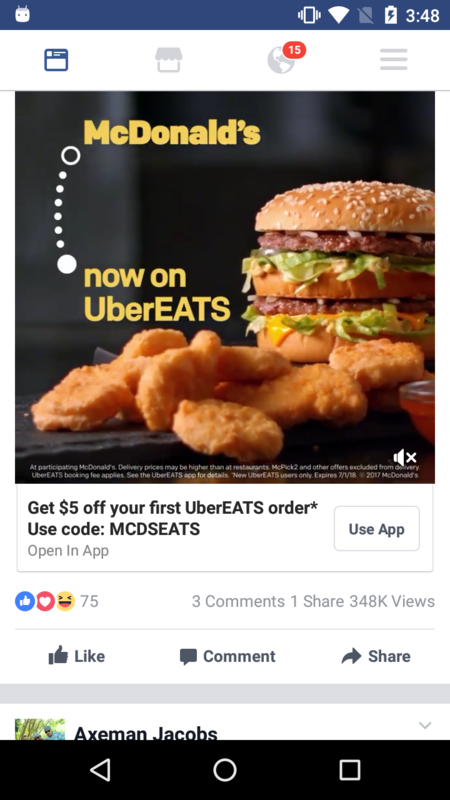 Order restaurant food easily with the Uber Eats app. Track your food order in real-time. Get your food delivered in minutes to your door. FIND YOUR FAVORITE RESTAURANTSBrowse nearby restaurants and search for food by cuisine, restaurant name, dish, meal, and diet. Choose from a variety of food to order: Pizza. Burritos. Burgers. Sushi. Chinese food. Skip the line and reservations. Order food with Uber Eats.SIMPLE ORDERINGPick your food order from any menu and add it to your cart with a few taps. That’s it.Order food to be delivered as soon as possibleOr, schedule your food order in advance for a later delivery time. Your choice!EASY PAYMENTPay easily with a credit card or Uber Cash. Add a different card easily. Enter a Uber Eats promo code to redeem a discount on your food order.Tip the Eats courier in the app. No cash needed for tipping.REAL-TIME ORDER TRACKINGTrack your food order on a map as it heads your way.See the estimated delivery time to your address.DELIVERY IN MINUTESTrack the delivery time of your food order by-the-minute. Get notified when your order arrives.RESTAURANTS INCLUDE:McDonald's, Subway, Popeyes Louisiana Kitchen, Starbuck's, Five Guys, Panda Express, Denny's, Jersey Mike's Subs, T.G.I. Friday's, Hooters, Sonic, Red Lobster. Firehouse Subs, Moe's Southwest Grill, BurgerFi, Tropical Smoothie Cafe, Boston Market, Qdoba, Steak 'n Shake, The Halal Guys, Anthony's Coal Fired Pizza, Tijuana Flats, Church's Chicken, White Castle, McAlister's Deli, Jack in the Box, On The Border, Fatburger, Romano's Macaroni Grill, Famous Dave's Barbeque, and more.AVAILABLE INTERNATIONALLYUber Eats is currently available in cities and metro areas including Abu Dhabi, Adelaide, Amsterdam, Atlanta, Auckland, Austin, Baltimore, Bangkok, Bogota, Brisbane, Brussels, Cape Town, Chicago, Dallas, Denver, Dubai, Hong Kong, Johannesburg, Glasgow, Liverpool, London, Los Angeles, Madrid, Melbourne, Mexico City, Miami, Milan, Moscow, Mumbai, Nashville, New Delhi, New Orleans, New York, Ottawa, Paris, Philadelphia, Rio de Janeiro, San Diego, San Francisco, Sao Paulo, Seattle, Singapore, Stockholm, Sydney, Taipei, Tokyo, Toronto, Vienna, Warsaw, and Washington DC. Uber Eats helps you find food delivery around the world. Order delivery in Australia, Belgium, Brazil, Canada, China, Colombia, France, Japan, India, Singapore, South Korea, Mexico, New Zealand, Poland, Russia, South Africa, Spain, Taiwan, Thailand, United Arab Emirates, United Kingdom, United States, and more.Visit ubereats.com for more details!